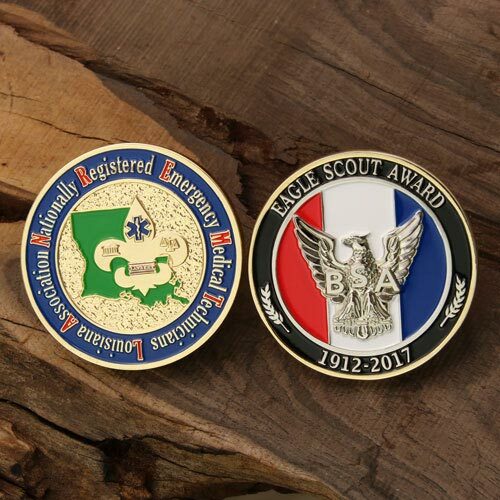 We are often asked that the difference between soft enamel and hard enamel challenge coin from our customers when they are ready to drop orders. The difference is huge, and here I will show you in the following. Soft enamel coin is not “soft” when touching. The “soft enamel”, an industry term, is the meaning of the color fill process used to create the challenge coin. Recessed areas will be filled with liquid enamel by using a tiny needle, and are surrounded by raised metal as a line to contain the enamel well. After baked and polished, then challenge coin can be ready for package and delivery. If you rub your fingers over your custom soft enamel coin you will have a layered feeling. And for hard enamel, this craft is a multi-step enamel process, which is often used to produce jewelry, vases, and high-end decorative handicrafts. Also is called cloisonné. This type of challenge coin has its flash-point, smooth surface and colorful images are same level with the based metal, with a glossy finish. The process of hard enamel is always made from great material and costs a little more. The enamel color will be added over several times to match the higher of raised metal line, and then it is heated at a very high temperature to harden and polished in details. Different process makes different features for your custom coins. You can know it well from the below pictures and lists. Good for Corporate challenge coins, honor coins etc. Soft enamel coin is the most popular option for customers, and provided with cost-effective price. The color fill is liquid pigment, and the color areas are lower than metal parts; so the soft enamel coin looks more layered. With raised metal and recessed color area, enamel colored parts are more attractive and vivid under light. Good for Military coins, Navy and Air Force challenge coins etc. 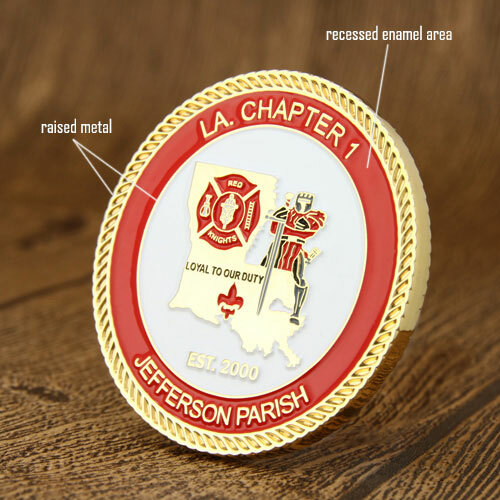 Hard enamel coin is high quality challenge coin, and its color filled with solid pigment. The color and metal area are flushed with smooth surface with intense polished. 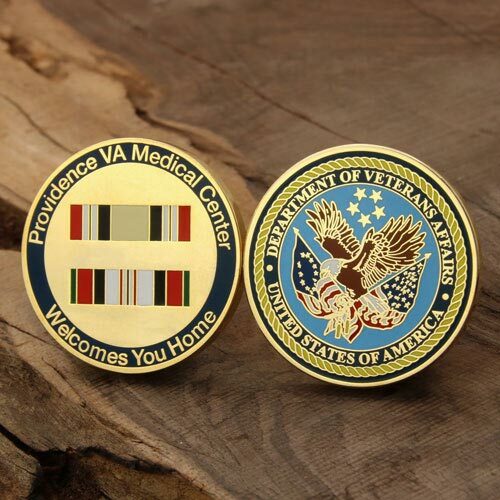 Hard enamel coin is durable challenge coin; colors are vibrant with years to come. If you want to collect valuable challenge coin, hard enamel coin is a great choice. What’s more, custom coins are crafted by hard enamel, and often be presented themselves well and higher quality because of their luxury appearance. Soft enamel coin or Hard enamel coin? Someone had custom coins minted in soft enamel because he liked the realistic feeling. While, others are prefer to choose hard enamel coin, which feature smooth surface. Whether to choose soft enamel or hard enamel manufacturing methods ultimately depends on your preference and budget. 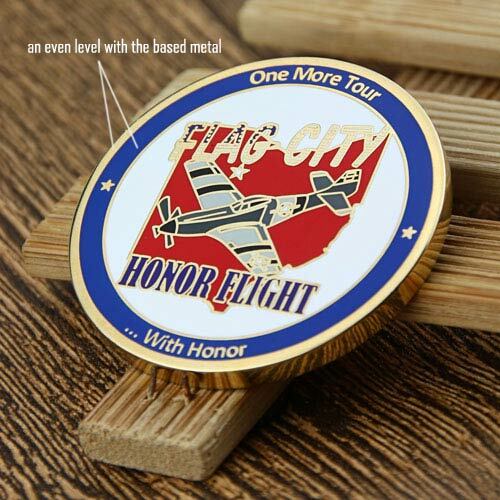 We can create your challenge coin using either process perfectly. As a leading challenge coin maker, we employ quality control inspections to ensure all custom coins meet the customer’s requirements. We even take your personalized design ideas and turn them into real great pieces through our finest craftsmanship. If you are still not sure which challenge coin process to choose from, please directly contact us at 1-888-864-4755, our talented sales will help you and give you’re the best advice under your budget.